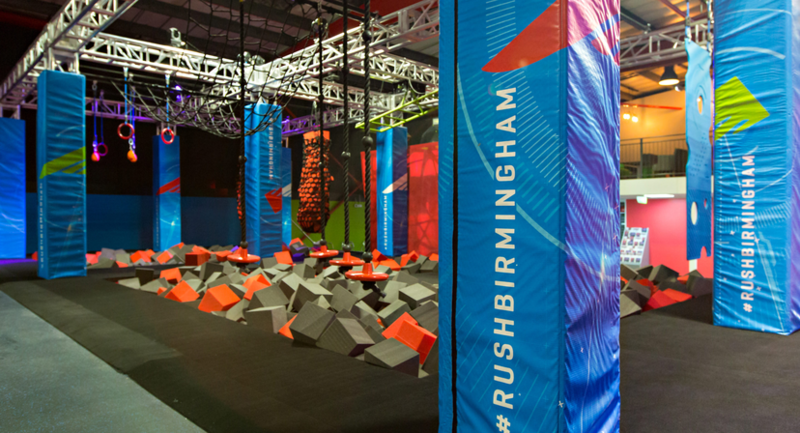 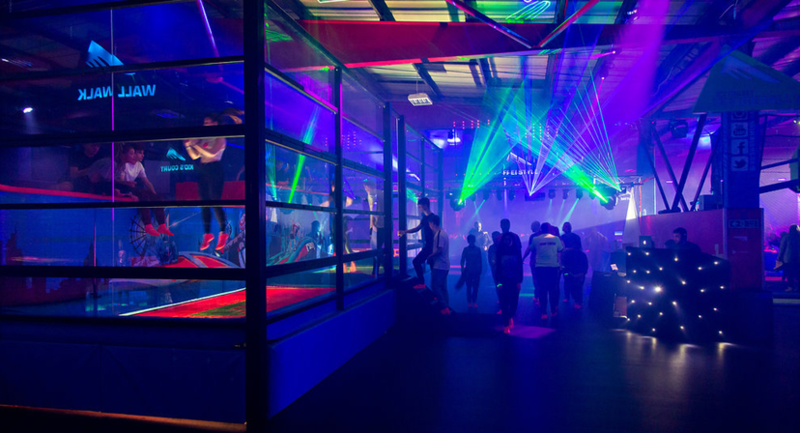 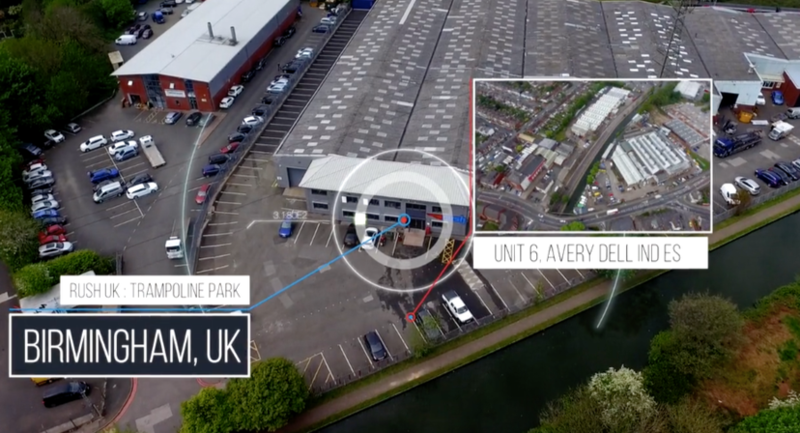 With its sleek, spacious mezzanine level overlooking our state-of-the-art trampoline park, Rush UK is a fantastic and versatile venue for hire in Birmingham. 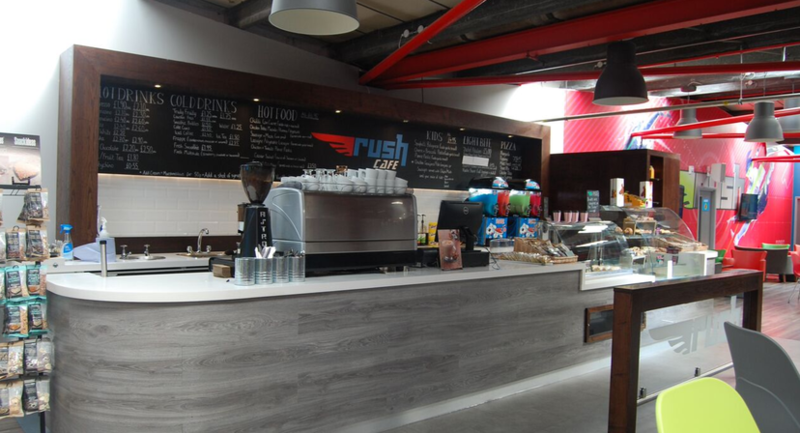 With six private rooms available for hire in addition to our mezzanine area and stylish coffee shop lounge and restaurant, make Rush UK your next venue for parties, meeting room hire, “big occasion” private party hire and club or society events. 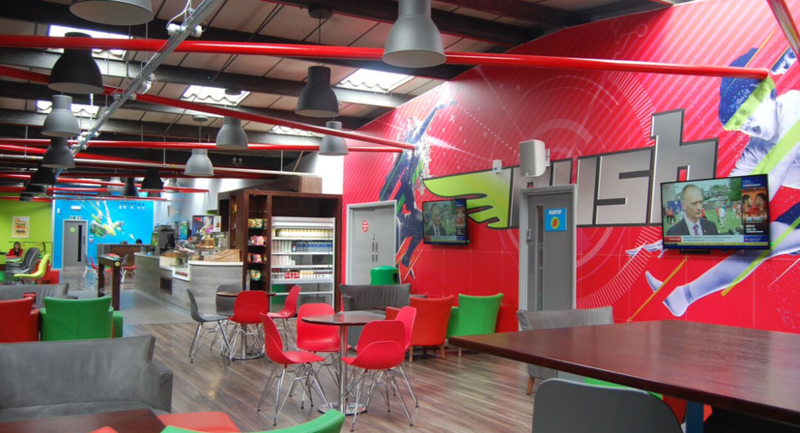 Catering and meeting facilities available and can be coordinated to suit your budget. 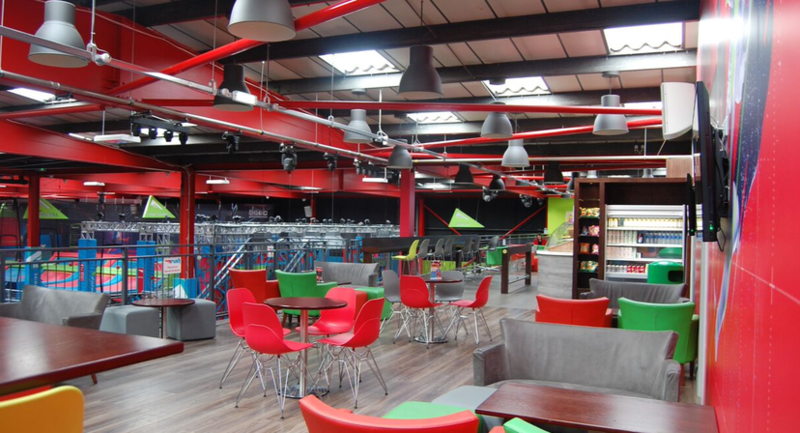 We can cater to conference needs with sound, TVs and a gallery space (our mezzanine level) with option to explore park afterwards. 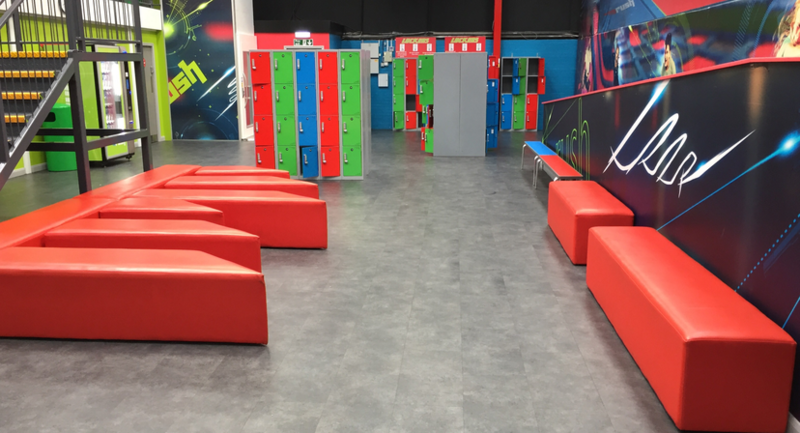 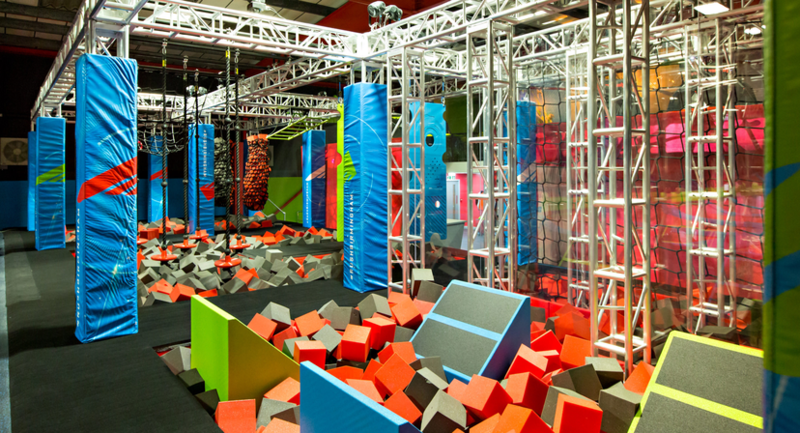 We’re an Activity/sports centre offering event space with a twist! 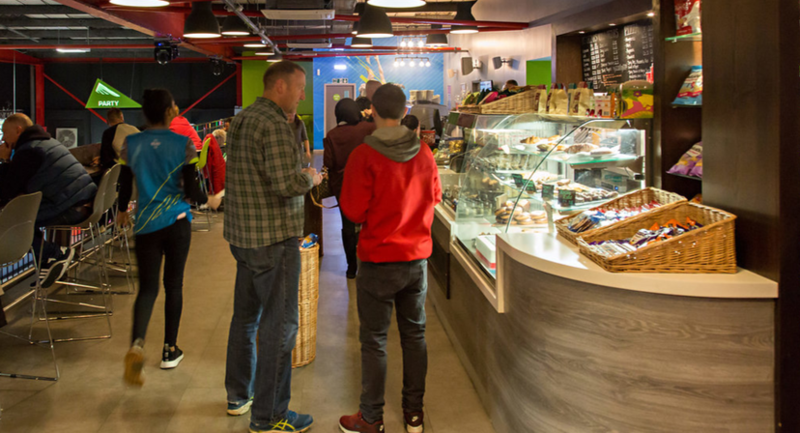 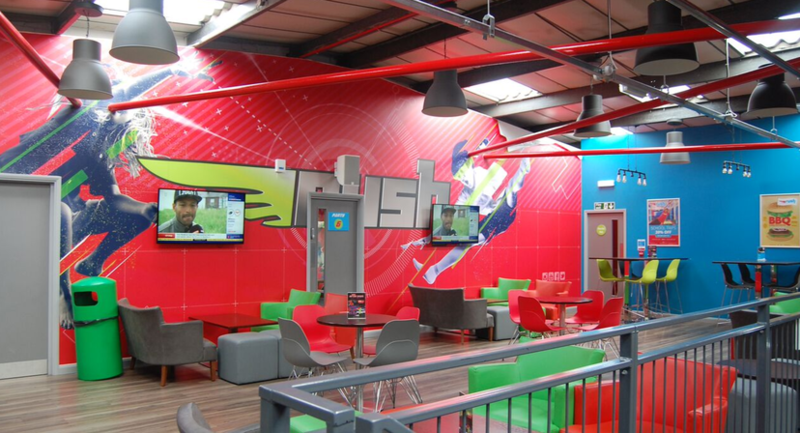 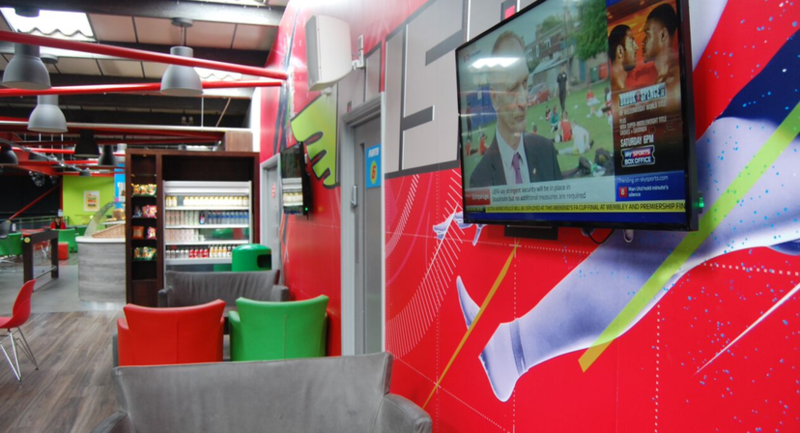 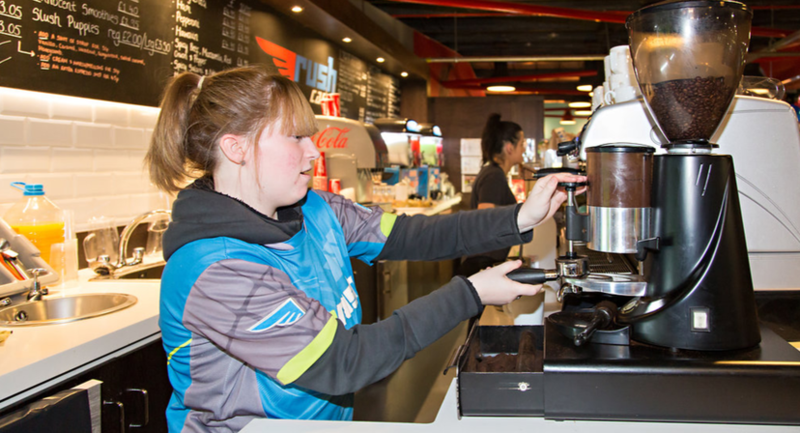 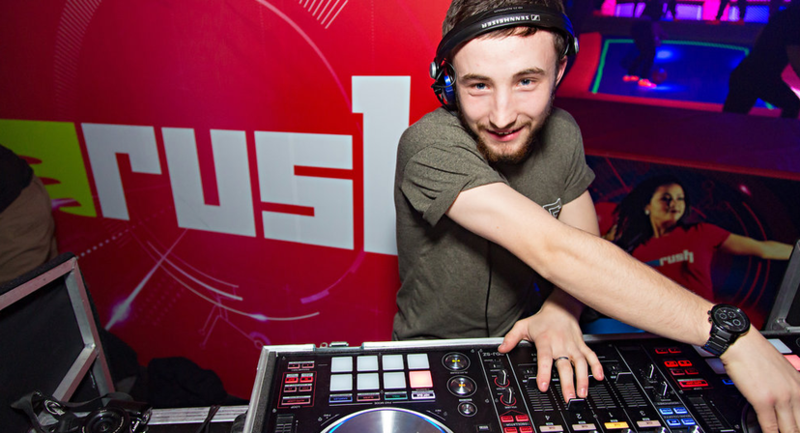 Benefits of hiring Rush UK include: UV and Disco lights, state of the art surround sound speakers and sound system (which could also be used to accommodate live music), Sky TV, 50” TV screens around our mezzanine level, a fully licenced Bar and fully functioning kitchen. 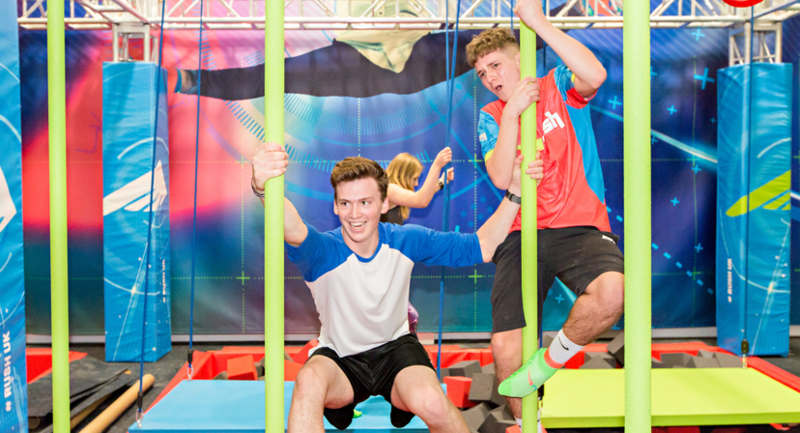 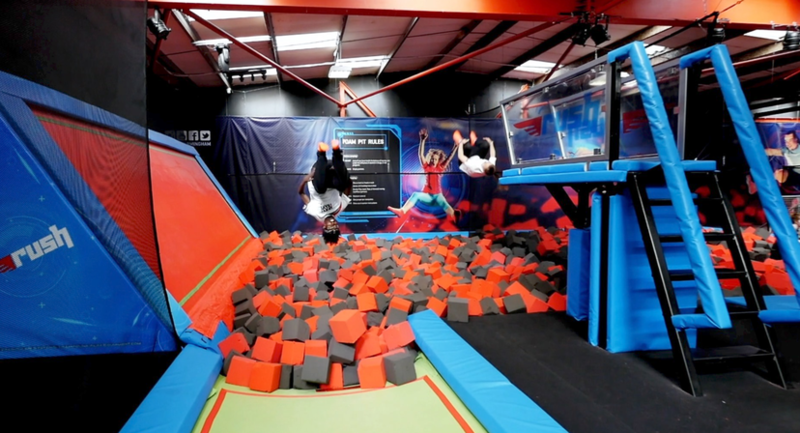 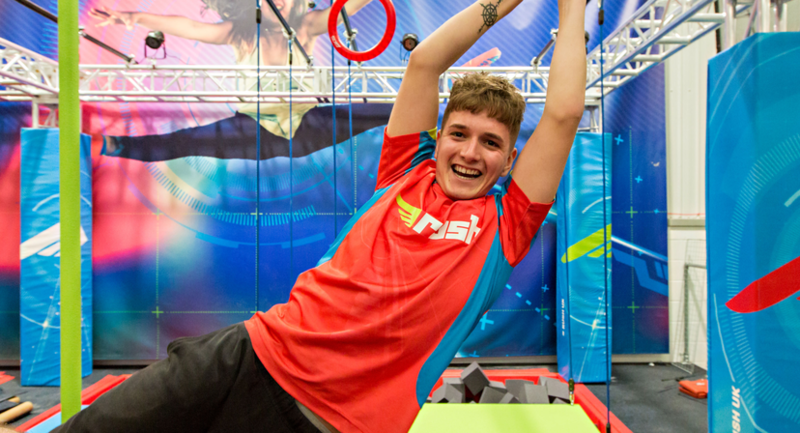 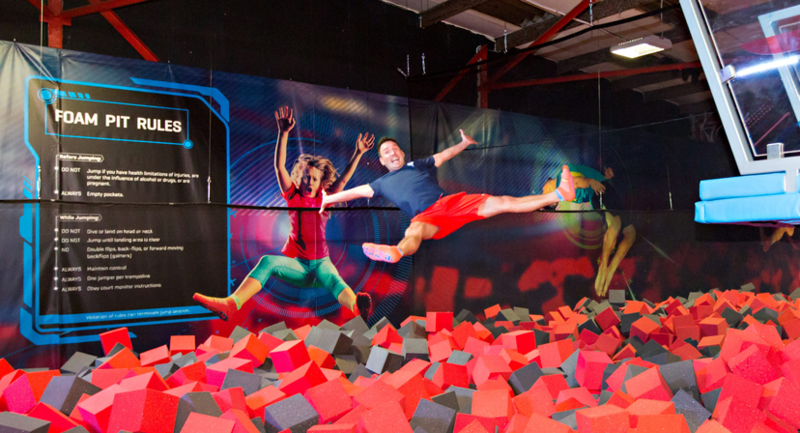 Customers wishing to jump with us are required to wear non-slip Rush socks, watch our short safety video and fill in a waiver prior to bouncing (you can do this online in less than five minutes.) 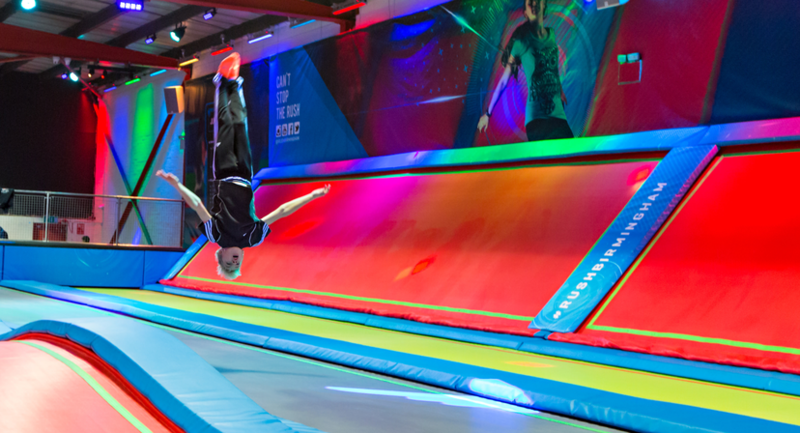 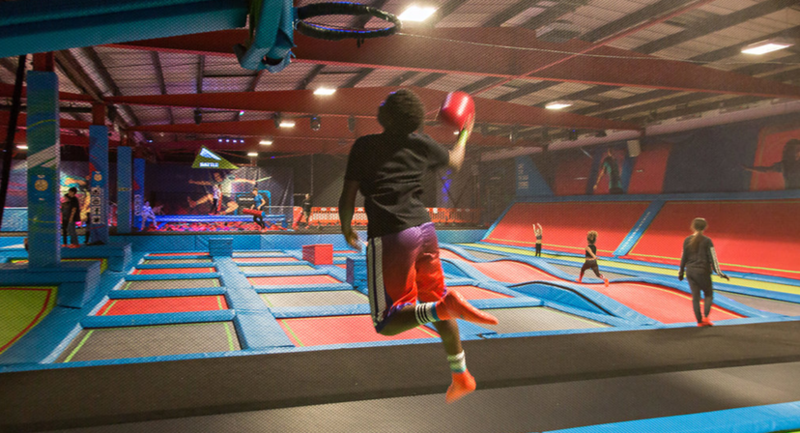 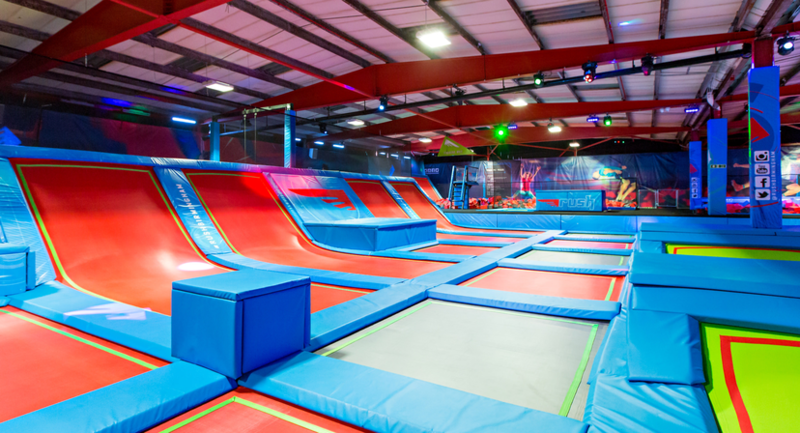 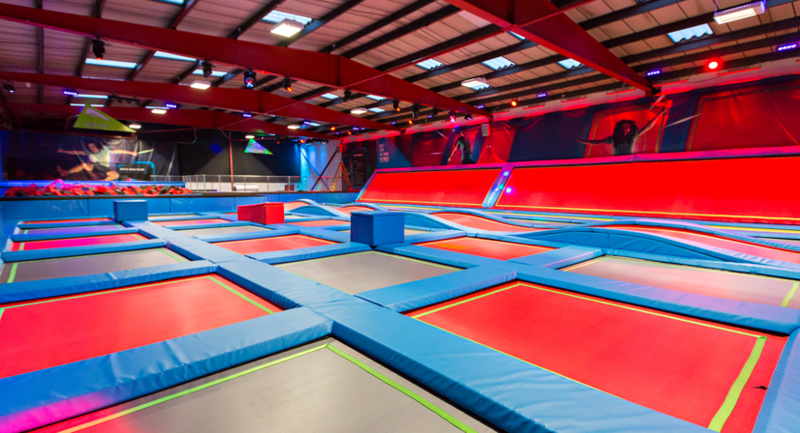 We have our main courts for bouncing, high performance trampolines for an even higher bounce, tumble lanes for flips and tricks, dodgeball courts for team games, foam pits for diving into, slam dunk basket ball hoops, climbing elements, and more. 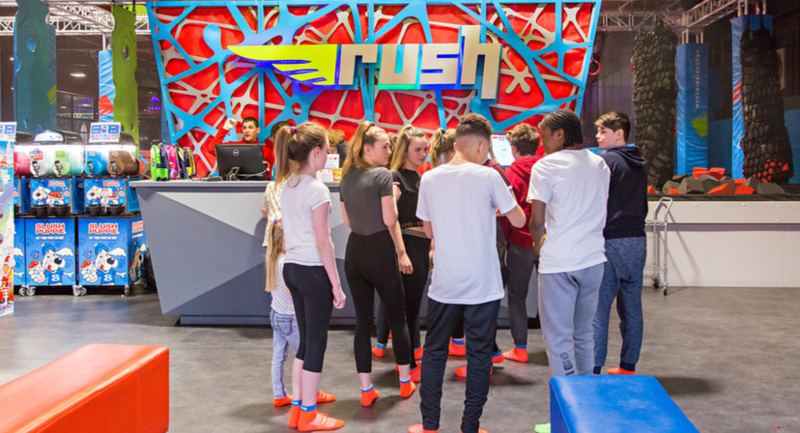 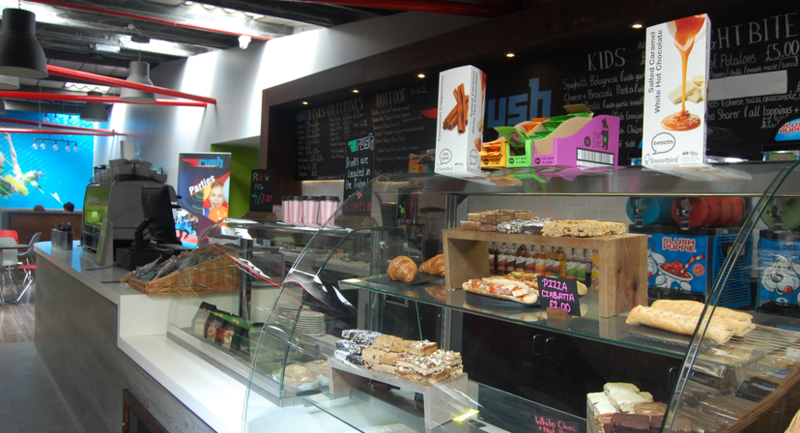 Fun, friendly and refreshingly different – Rush UK can cater to the needs of small groups and large exclusive hires of up to 200 people. 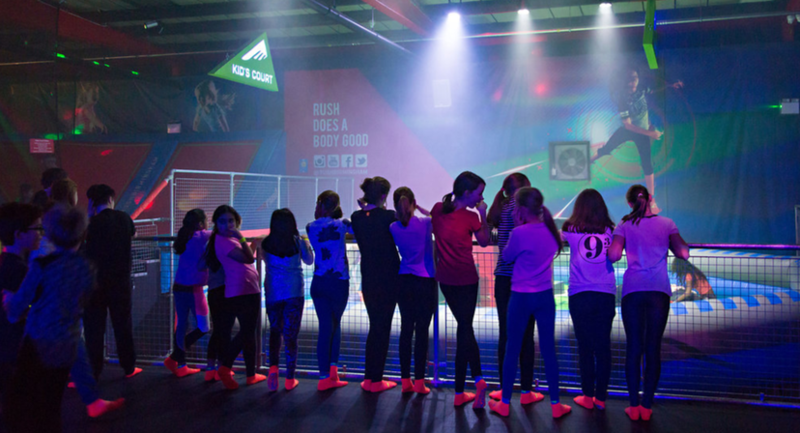 You needn’t worry about a thing thanks to our Court Monitors and Event Hosts on hand to help make sure your meeting or event runs smoothly. 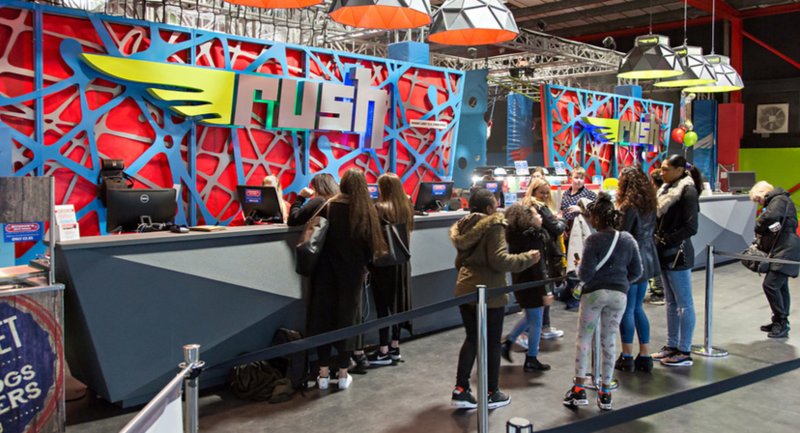 Rush also has free Wi-Fi onsite and a number of lockers available for valuables.